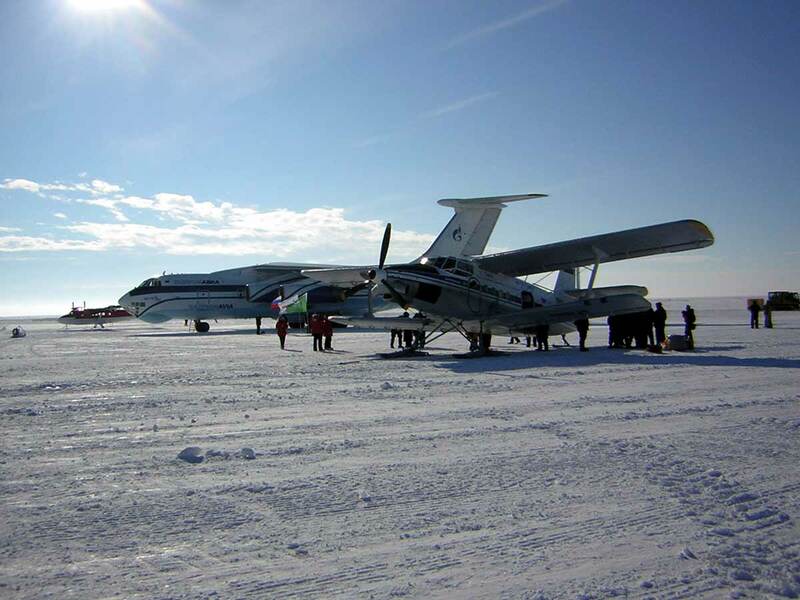 NSF agreed to provide official national program support to the recovery operation for the Antonov-3T aircraft that came to be left at Pole in January 2002 (a story in itself; at right is a photo of the stranded aircraft at Pole in January 2004) (photo page). An Ilyushin-76 aircraft arrived in Christchurch 21 December from Darwin with 35 on board, including a team of mechanics, more engineering experts, two sets of tools and equipment, a film crew to document everything, and a replacement engine. 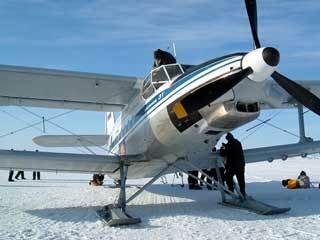 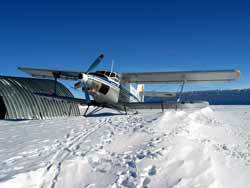 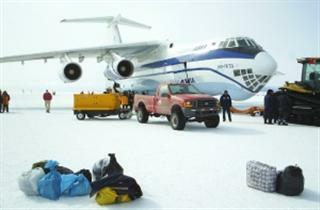 While the flight crew was quite experienced, none of them had flown to the Antarctic before. 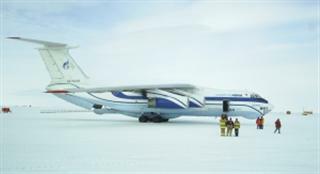 After several days of negotiating and scheduling, the aircraft left for McMurdo at 1000 Monday 27 December, arriving at 1530. 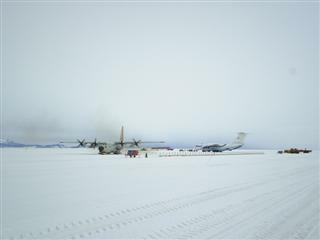 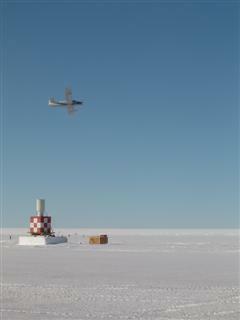 The mechanical team continued to Pole by LC-130 and begin work with 2 shifts working around the clock. 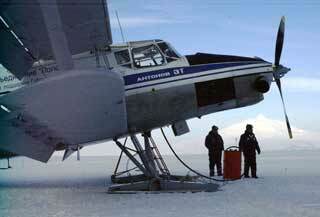 Additional assistance is being provided by the rest of the engineering team as needed. 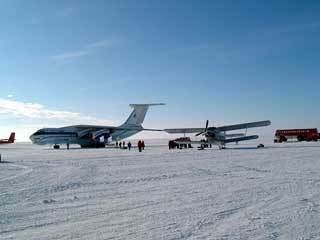 Meanwhile, the Ilyushin returned to Christchurch, arriving the next morning. 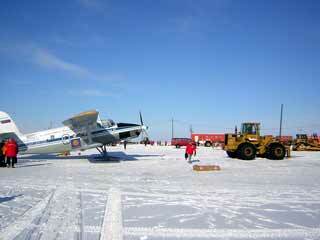 The AN-3T was moved off the berm to a site near the Cheese Palace for the repair work. The ambitious schedule called for a test flight on 4 January, flight to McM for disassembly on 5 January, and departure to ChCh inside the Ilyushin on 6 January. 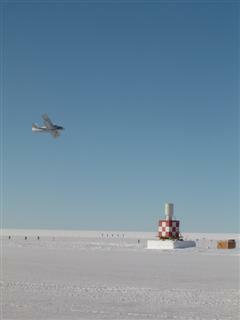 All to be documented by the film crew, which was to visit Pole as appropriate. 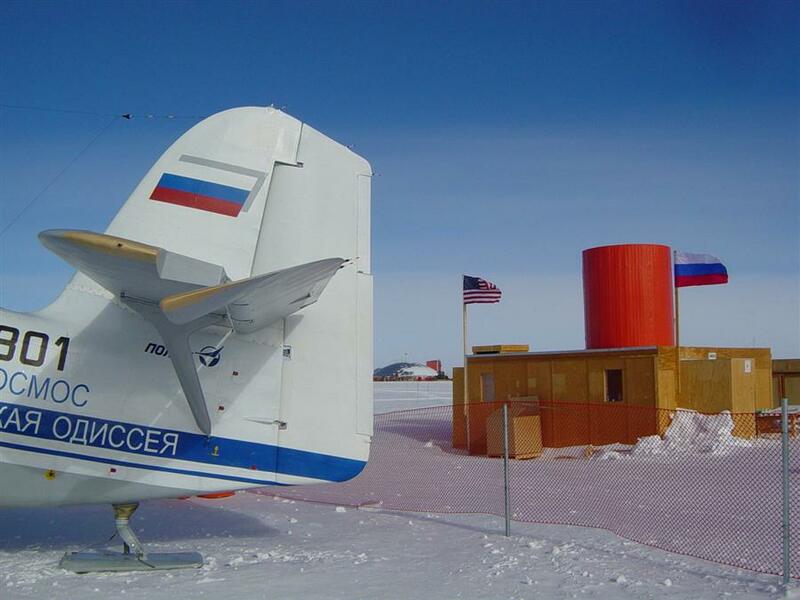 They are from the Russian equivalent of CNN, and in the meantime they've made themselves busy filming in and around McMurdo and Scott Base. 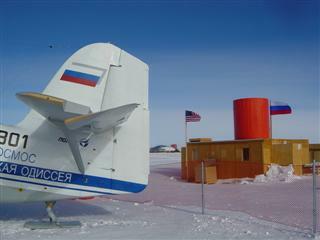 All this according to the NSF reps George Blaisdell (McM) and Brian Stone (Pole). At Pole the work progressed on or ahead of schedule--by 4 January the mechanics had replaced the engine, as well as the windshield and shock absorbers, the engine has been tested, and finally multiple test flights were conducted successfully . 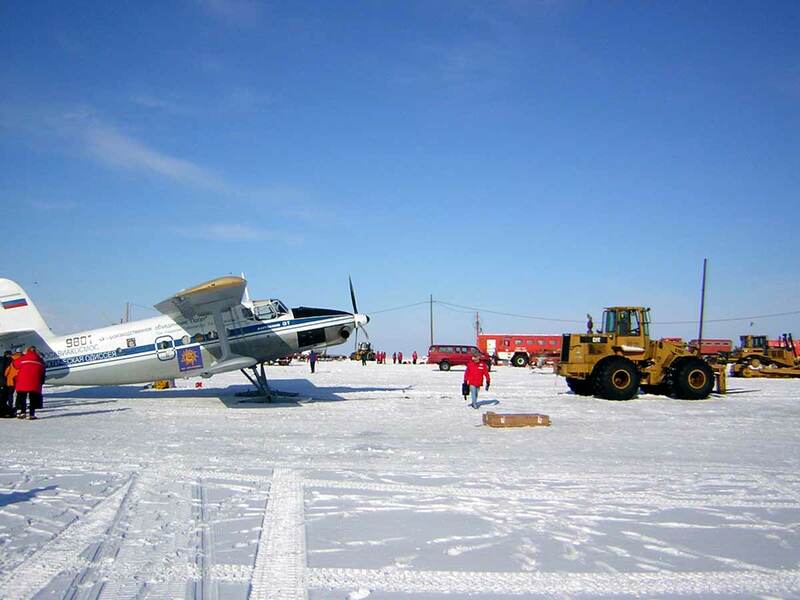 Below are several of Melany Zimmerman's photos of the work in progress; the Russians worked out of the adjacent Cheese Palace. 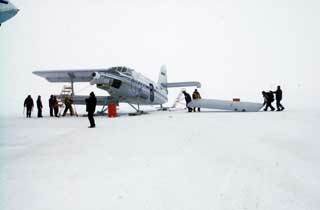 Above, the AN-3T at Pegasus. The decal just forward of the door is freshly added by the repair team...it is a Gazprom logo (!) 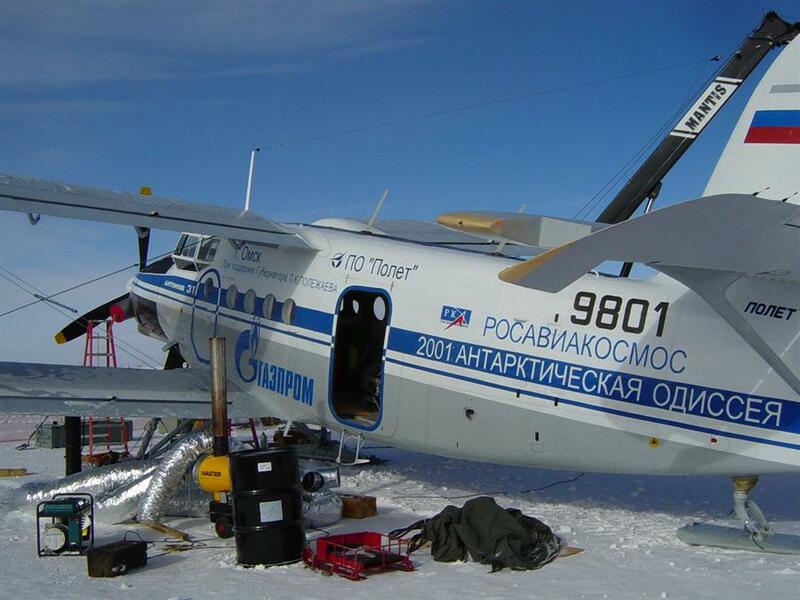 What is the logo of Russia's big gas company doing here? 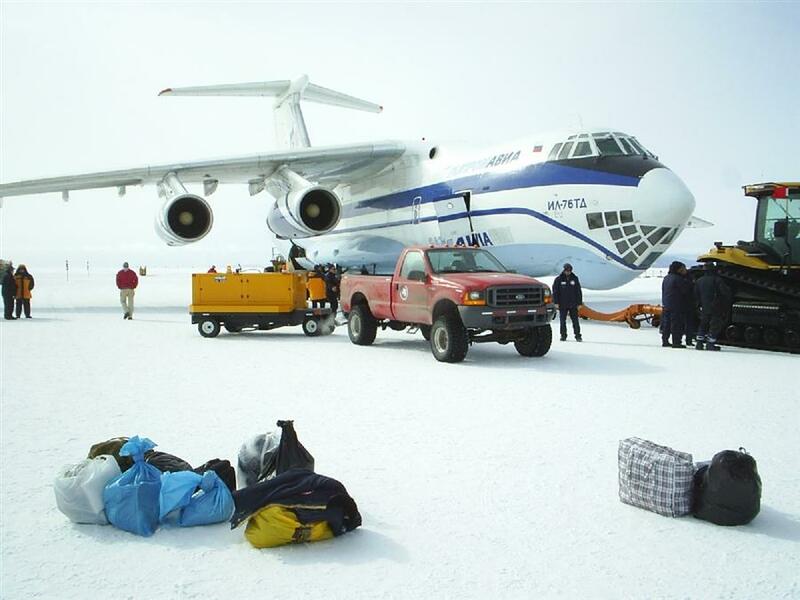 Well, Gazprom owned the IL-76 and has been a big backer of Chilingarov...and while he was sitting in Christchurch waiting for good flight weather, he was also negotiating Gazprom's investment in Russia's aviation industry. 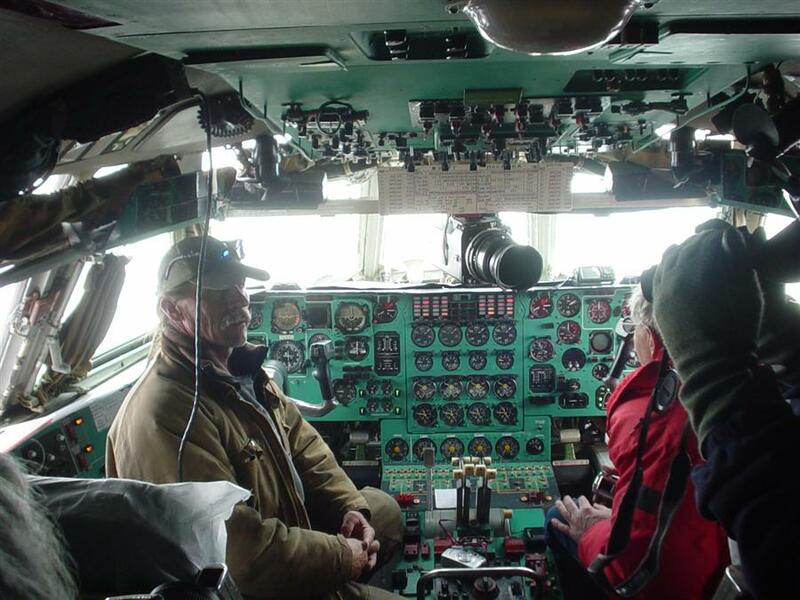 Hmmm, it seems that the CEO of Aeroflot, Valery Okulov, was in Christchurch with Chilingarov. Here's my copy of the 16 January Itar-Tass news story. 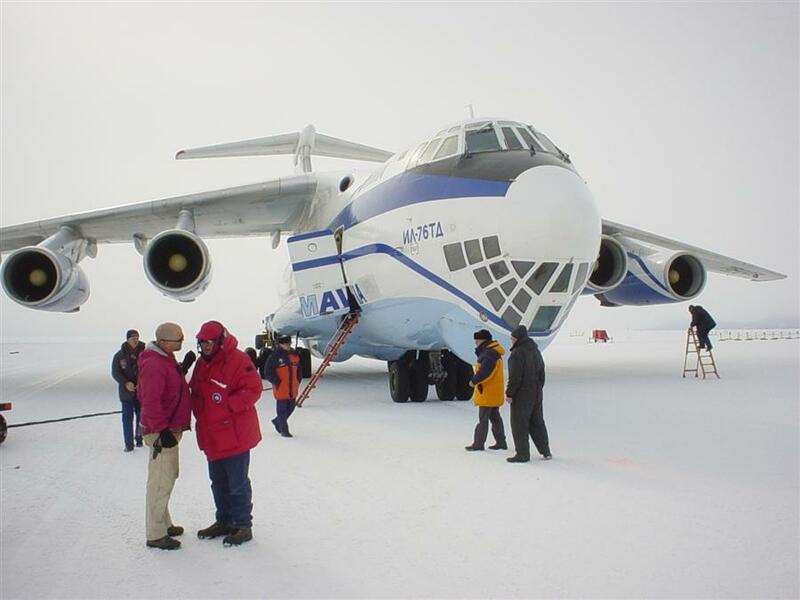 Artur Chilingarov, Deputy Chairman of the Russian State Duma, (center) welcomes the pilot of the Antonov 3T biplane after its flight from Amundsen-Scott South Pole Station to McMurdo Station while Michael Orkin, from the independent Russian station NTV, films the moment. 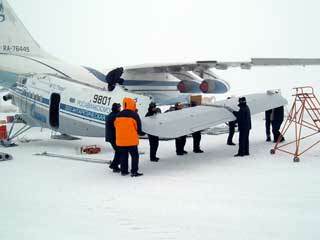 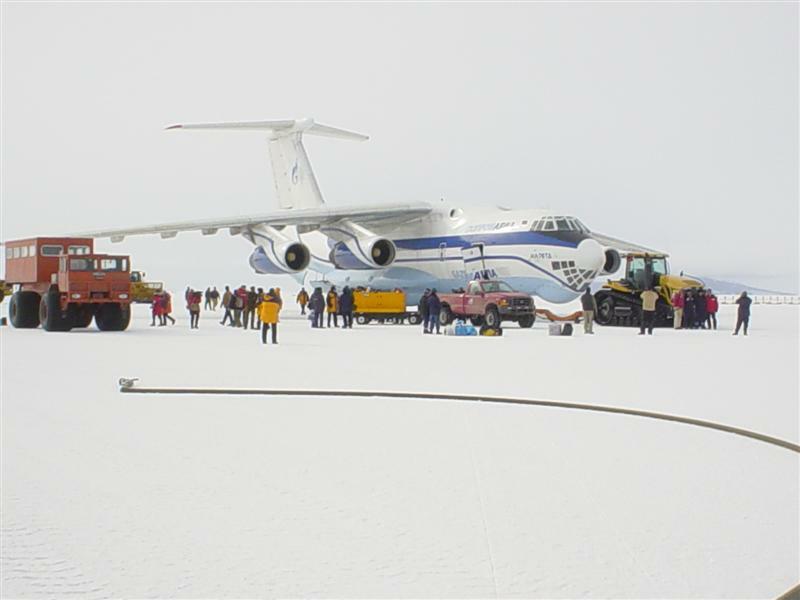 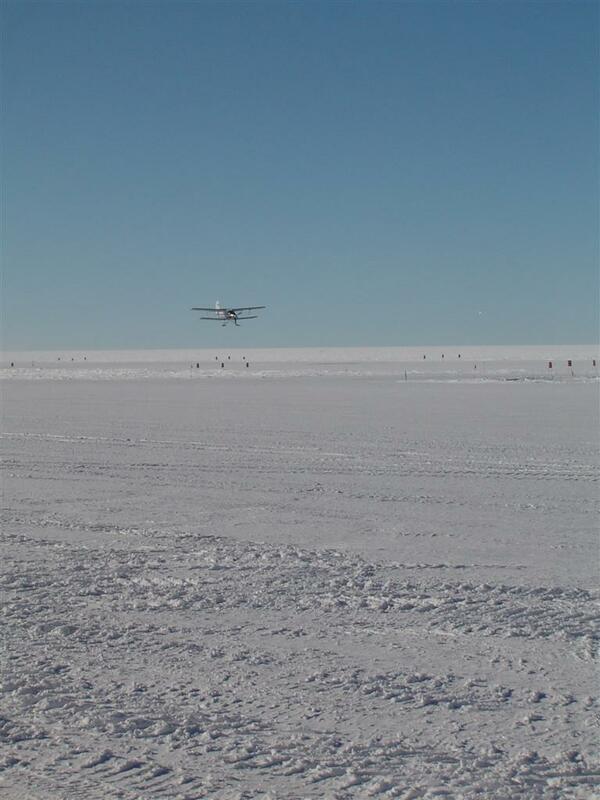 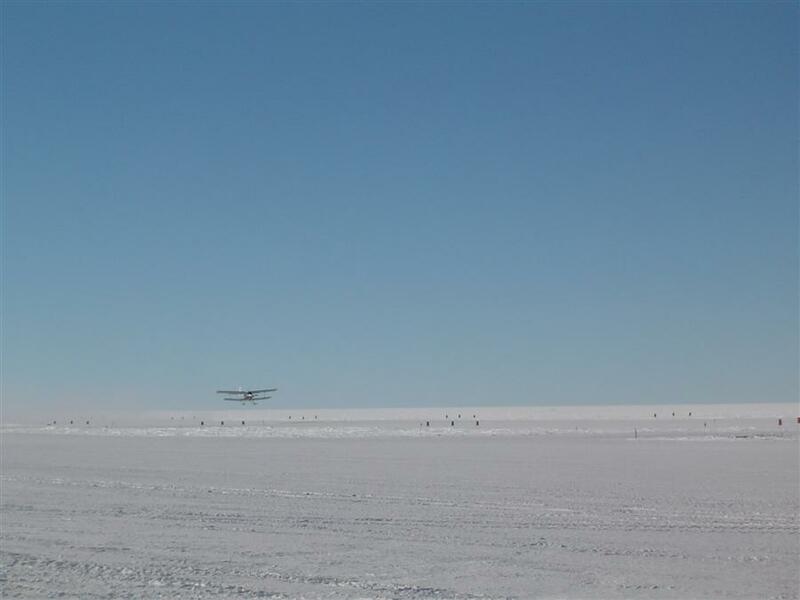 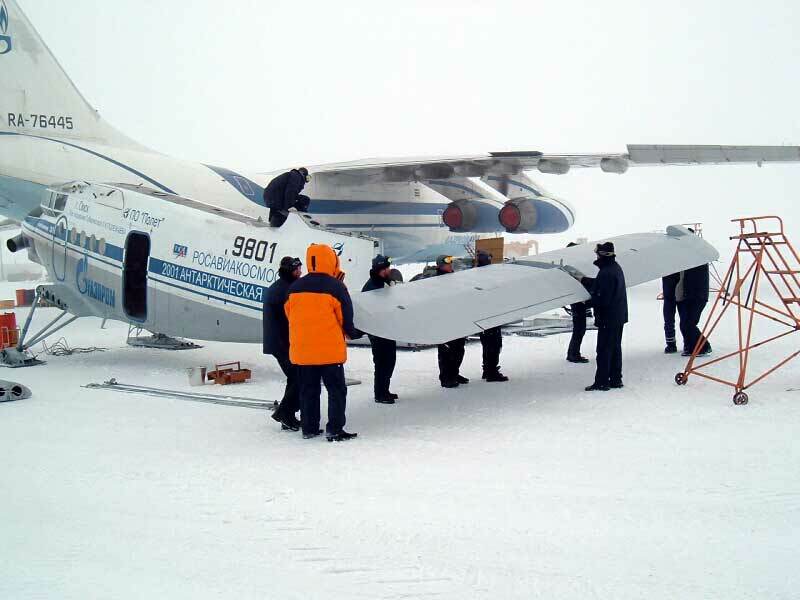 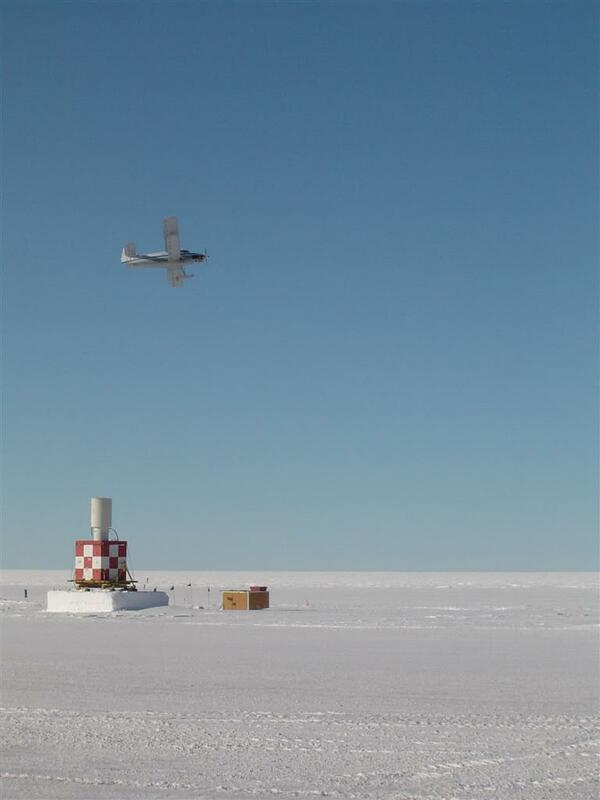 The Antonov 3T had been parked at the South Pole since January 2002, when Chilingarov had to leave it there because of a mechanical problem (credit KH). 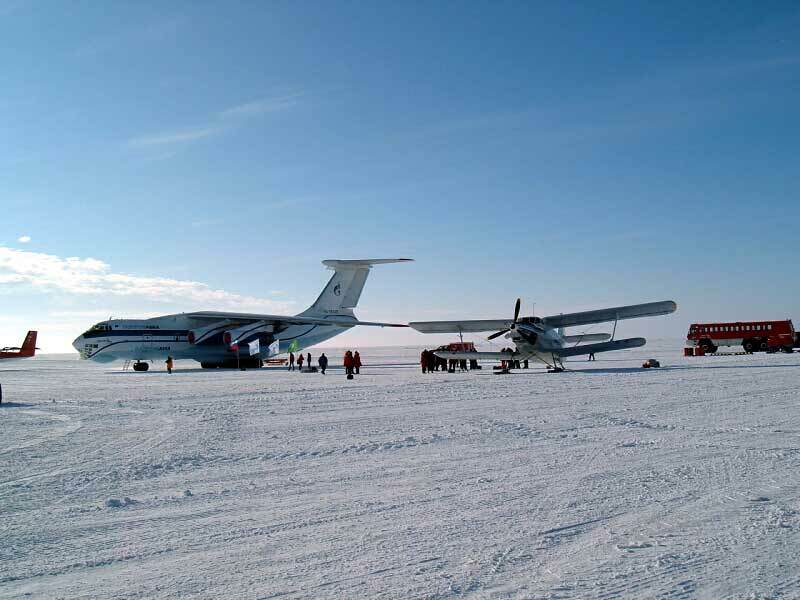 Both Russian aircraft at Pegasus. 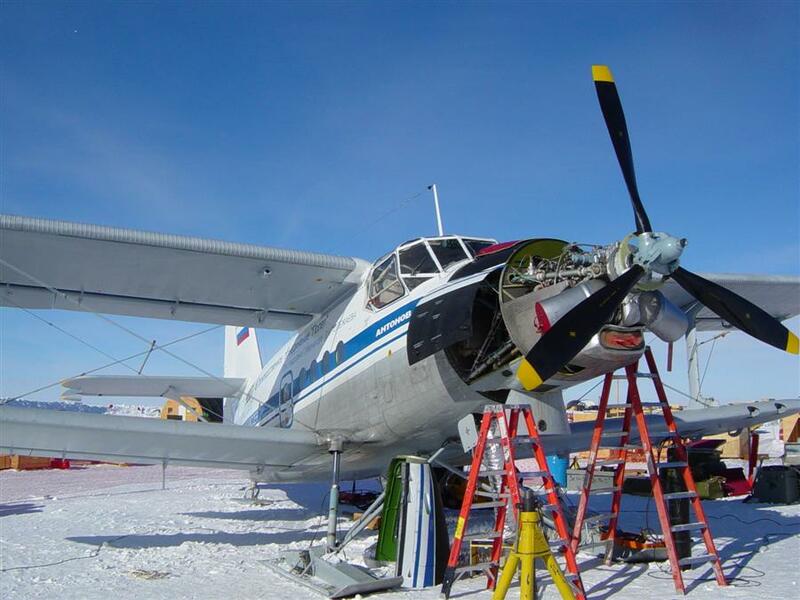 Another view of the AN-3T. the Ilyushin, carrying the disassembled Antonov, left McMurdo on 12 January, arriving back in Christchurch at 2030. 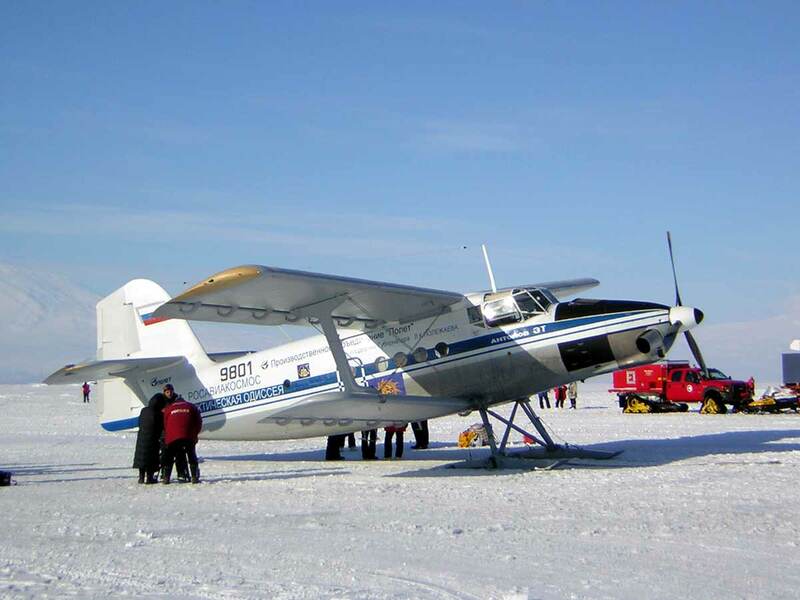 Final destination was the Antonov factory in Omsk, western Siberia, where the aircraft had been originally assembled. 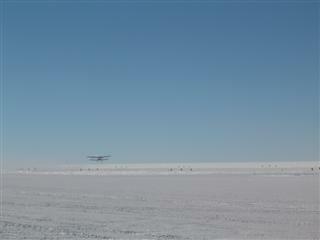 Steven McLachlan has photos of the test flight, and more info from ChCh, updated 14 January 2005.